Swan Rangers Hike Crater Notch Trail! 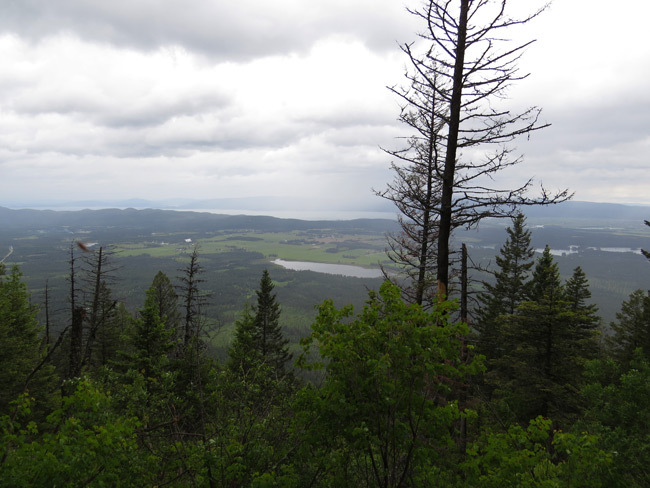 Seven Swan Rangers hiked up the Crater Notch Trail on a soggy Saturday, June 16, 2018! They turned around atop the first knob, known as the first lunch spot, where a chilly wind was blowing! Click here for a map of the Crater Notch Trail. 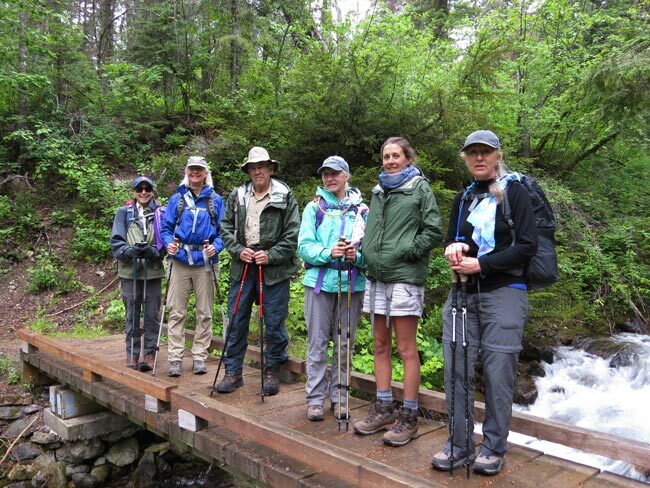 The Rangers pause on the bridge over Birch Creek. 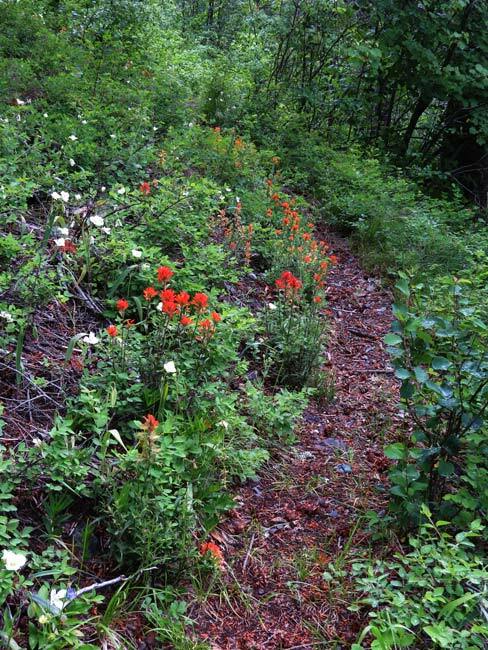 The steep climb was undertaken with the promise of these Indian Paintbrush along the trail! 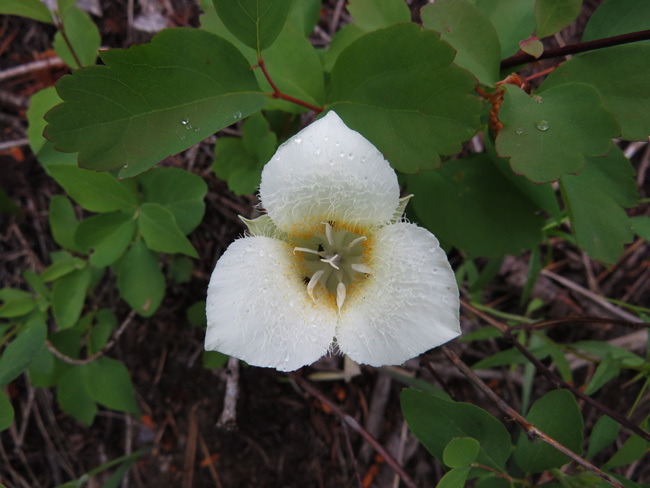 The sego lilies . . .
. . . were a bonus! 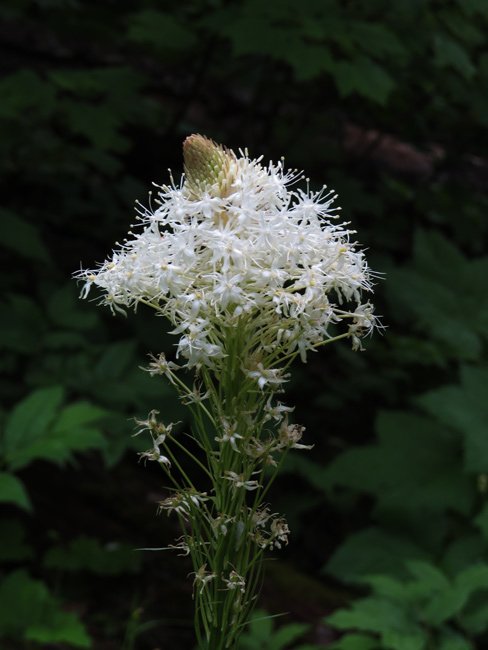 Beargrass reminds us that the Fourth of July is not that far away! 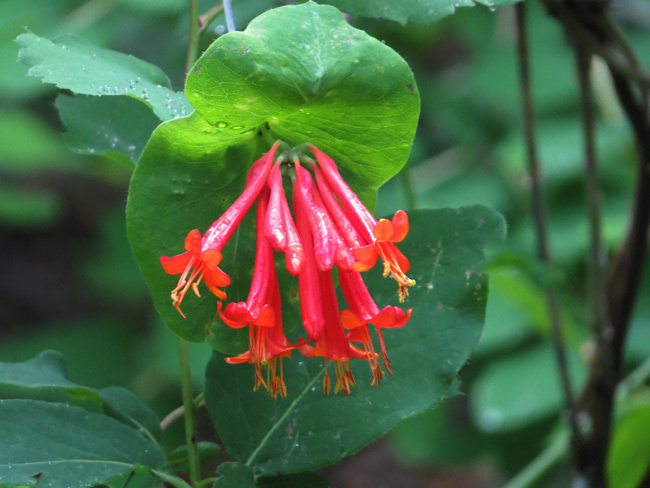 Honeysuckle reminds us that life is sweet!